This is a Savoy House dual slide wall mounted ceiling fan light control. 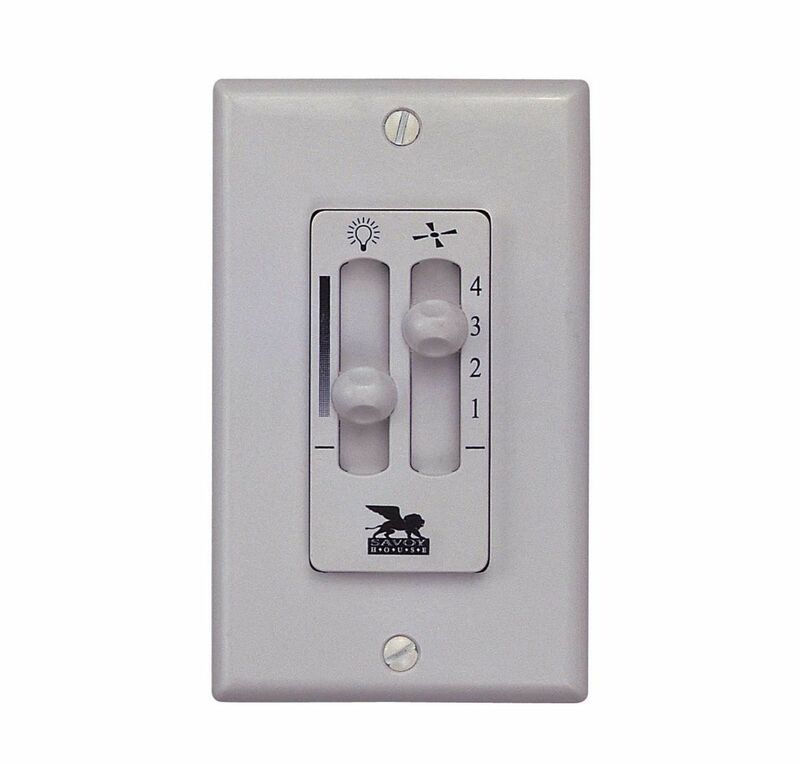 It has 4 fan speed options and full-range dimming. 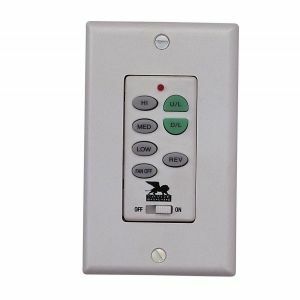 Installs in standard 3-wire single box wall switch. Ivory and white faceplates included. Wall unit can only control one fan. 1-year limited warranty.